NOTE: This can not ship media mail. Please choose another option at checkout. Mornings are hard. You have to wake up each day and either go into work or walk the dog, or feed the kids. But there is that little reward in each morning, that quiet time when you get to grind the beans, pour the water and pour that elixir that makes the day just a little... brighter. 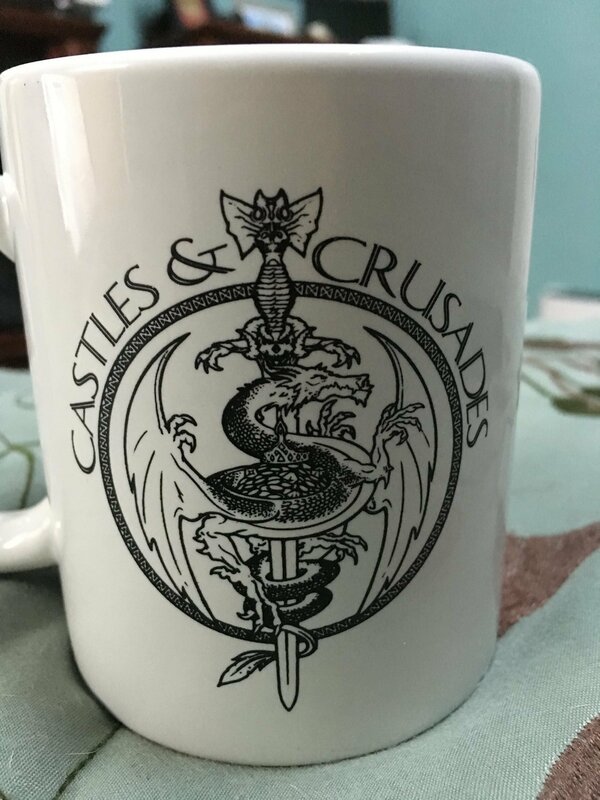 THE OFFICIAL MUG! FIRST 125 of these has Davis' mug on your mug. Signed and with both our old school and new school logos on it. A must have collector's item! Now you can do that in true C&C style! This 11 ounce ceramic mug will warm your belly with the best things in life. Don't like coffee? Pour a little Dr. Pepper in there. In the evenings, you can put a little amaretto in your coffee and no one will be the wiser. Take the plunge. Let the kids sleep in a bit while you combine the two greatest things in life -- C&C and coffee. While you're here, go full C&C Style! Get that Travel Mug, a Tee Shirt, the Ruler. Check our merchandise section for even more goodies!